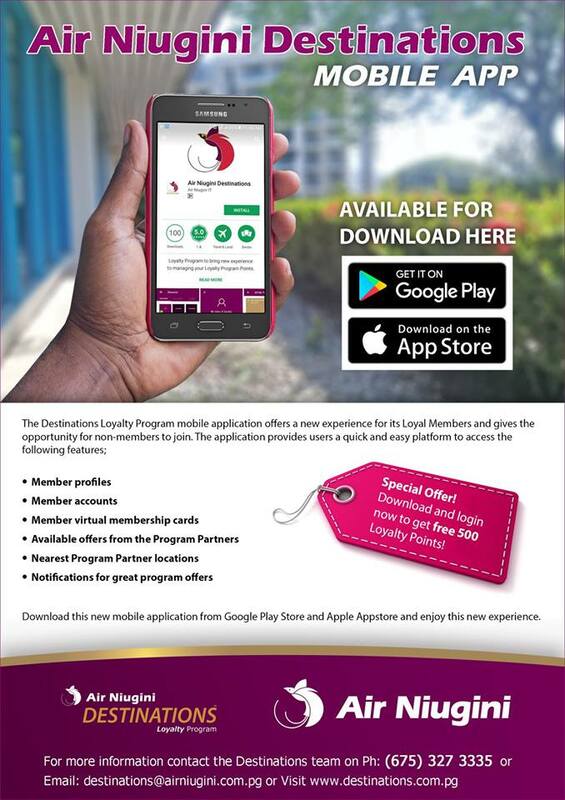 As part of Air Niugini’s continuous drive to create efficiencies for their clients, the company has released a Destination Loyalty Mobile Application. The application now makes it easier for Destinations Loyalty members to check their points and find which partners they can earn points from. The application also features promotions that members can take advantage without having to check their emails at regular intervals. This enhancement is the first release, as the company intends to add more features in the future.